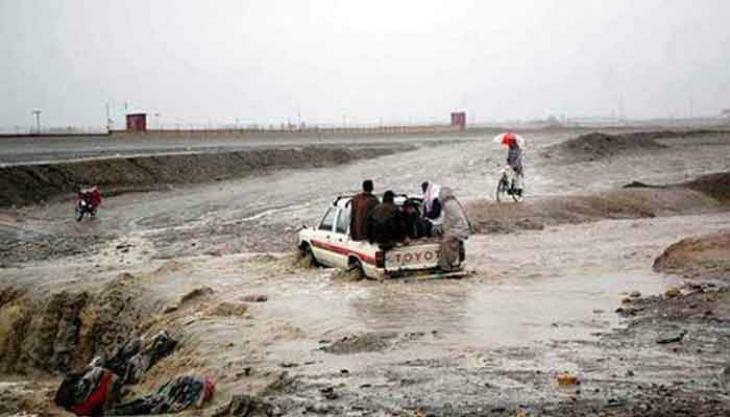 PESHAWAR, (UrduPoint / Pakistan Point News - 17th Apr, 2019 ) :Four persons killed and eight injured in different areas of the province in rain related incidents said spokesperson of Provincial Disaster Management Authority (PDMA) on Wednesday. The four persons were killed in Dera Ismail Khan, Karak, Charsadda while three persons were injured in Tank when roof of a house collapsed in, four in Karak and one in Swat. Similarly, 11 houses were collapsed three in Swat and two in Dir Upper, two in Mansehra and one each in Tank, DI Khan, Charsadda and Karak. Torrential rains and flash floods started from last few days have increased the flood risk in different districts of the province.